This time it can be reported that Richter amassed the miraculous. 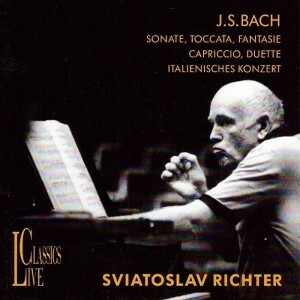 Scarcely anyone had dared to hope any longer that Richter would ever be heard in Munich again. 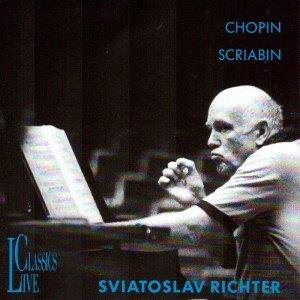 … But what was most amazing and most felicitous was Richter’s pianistic condition. …The energy of the seventy-seven year old appeared undiminished, and we experienced one more time the entire Richter, the austere structural fanatic of the late stylistic period, but also the old magician of impressionistic tonal enchantment, almost believed lost. These were historical moments. 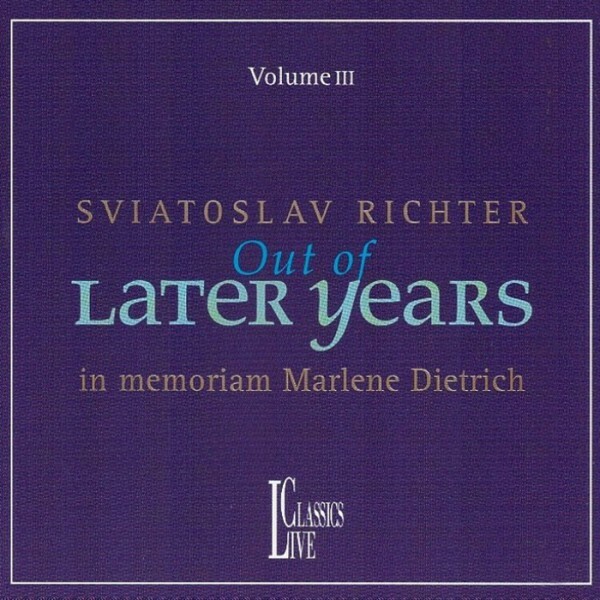 Sviatoslav Richter was the patrician interpreter of Chopin’s epic Polonaise Fantaisie, part of a Munich concert that commemorated the death of his close friend Marlene Dietrich. Indeed, Dietrich’s funeral had taken place in Berlin on that very day. 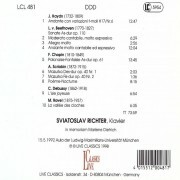 Richter had sent a gift of 500 roses and the closing strains of Ravel’s La vallée des cloches peel quietly in memoriam. 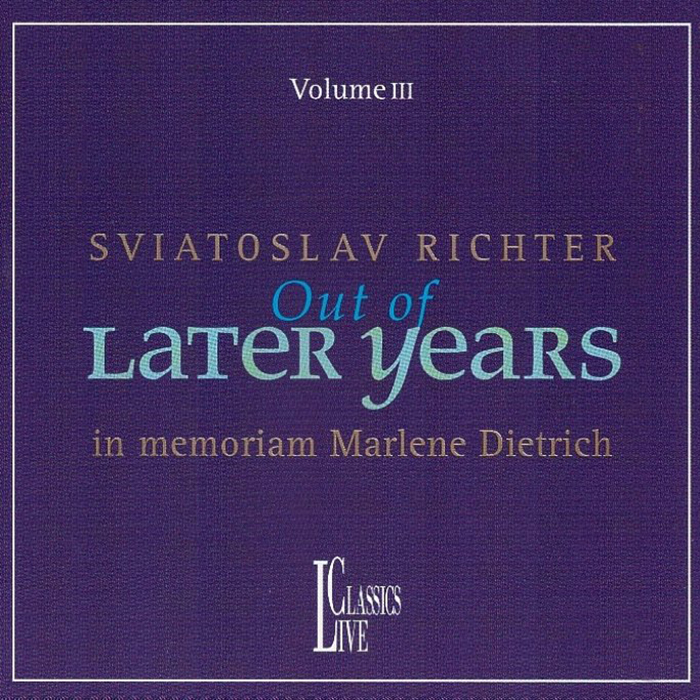 This is Richter at his most introspective, classically sublime in Haydn’s F minor Andante and Variations, marmoreal in the fugue from Beethoven’s Op. 110 and a master of nuance in Debussy’s L’isle joyeuse and a small Scriabin sequence. 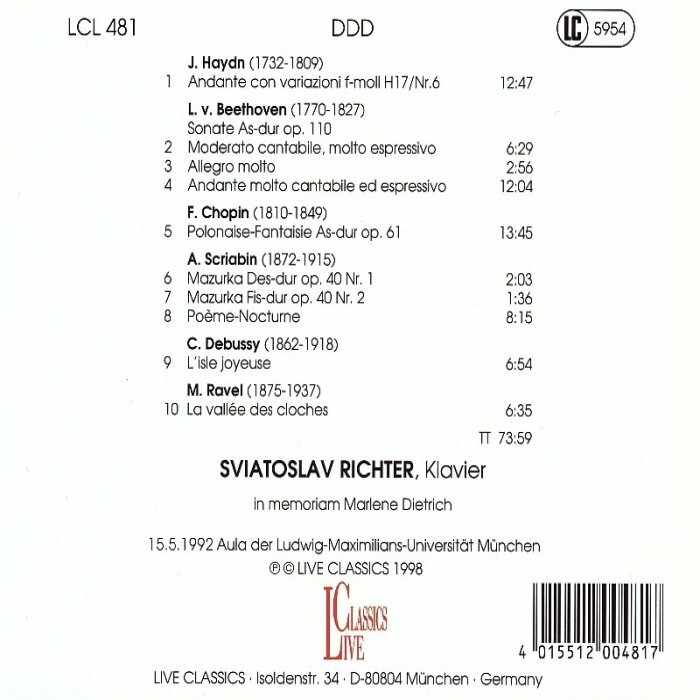 The disc proclaims that the recital is “Out of Later Years” (it’s one of three that are newly available in the UK), warning us perhaps that this is not the headstrong Richter of the 1950s and 1960s. But fiery embers still burn, far too many to enumerate in detail, and the digital recording captures the full measure of their warmth.